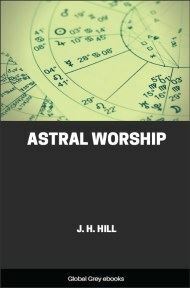 This is an interesting little book tracing the history of Astrology, Paganism, and Christianity. 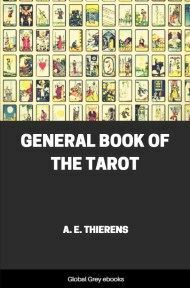 Chapters include: The Geocentric System Of Nature; The Sacred Numbers 7 And 12; The Twelve Thousand Year Cycle; The Ancient Triad; The Ancient Cosmogony; Fall And Redemption Of Man; Incarnations Of God Sol; Fable Of The Twelve Labors; Anniversaries Of Solar Worship; Personifications Of The Divisions Of Time; Zodiacal Symbols Of Solar Worship; Freemasonry And Druidism, and more. In constructing their system of nature, the ancient Astronomers constituted it of the Earth, the Firmament, the Planets, the Constellations and the Zodiac, and we will refer to them in the order named. Believing that the earth was the only world, that it was a vast circular plane, and that it was the fixed and immovable center around which revolved the celestial luminaries, the ancient Astronomers, in conformity to the requirement of the doctrine of future rewards and punishments, as inculcated in the Egyptian Version of the Exoteric Creed, divided it into an upper and an under, or nether world, which they connected by a sinuous and tenebrious passage. The azure dome, called the firmament in the book of Genesis, was believed to be a solid transparency, which we find described, in the fourth chapter and sixth verse, of that collection of Astronomical Allegories, called the Apocalypse, or Book of Revelation, "as a sea of glass like unto crystal." It was represented as being supported by four pillars, resting upon the earth, one at each of the cardinal points, which were designated as "the pillars of heaven." Conceiving the idea that there were windows in the firmament, the ancient Astronomers called them "the windows of heaven" and taught that they were opened when it rained, and closed when it ceased to rain. Hence it is evident that the ancient Astronomers did not refer to these pillars and windows in a figurative sense, but as real appurtenances to a solid firmament, as will be seen by reference to Gen. vii. 11, and viii. 2, Job xxvi. 11, and Malachi iii. 10. Believing that the stars were but mere flambeaux, suspended beneath the firmament, and revolving round the earth, for the sole purpose of giving it light and heat; and observing that seven of these, answering to the Sun, Moon, Mercury, Venus, Mars, Jupiter and Saturn, had perceptible movements, in relation to the other luminaries, the ancient astronomers designated them as planets or wandering stars. Perceiving that the other celestial luminaries maintained the same relation to each other, and designating them as fixed stars, the ancient astronomers grouped those visible to them into forty-eight Constellations; and giving names to these, they also attached names to the stars of larger magnitude, which was done for the purpose of locating and distinguishing them with greater ease. Through twelve of these Constellations, mostly contained within a belt of 16 degrees in width, and within which the planets appeared to revolve, the ancient astronomers inscribed a central line representing the Ecliptic, or apparent orbit of the sun, which they divided into 360 degrees; and quartering these to denote the seasons, they named the cardinal points the Summer and Winter Solstices, and the Vernal and Autumnal Equinoxes; the former referring to the longest and shortest days of the year; and the latter to the two periods when the days and nights are equal. An abbreviatory sign having been attached to each of these constellations, the great celestial belt containing them was called "the wheel of the signs," or "a wheel in the middle of a wheel," as designated by that old Astrologer, Ezekiel the Prophet, in chap. i. and 16th verse. 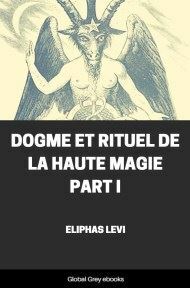 But for the reason that, with only one exception, the forms of living things, either real or mythical, were given to them, this belt, ultimately, wad designated as the Zodiac; or Circle of living Creatures, see Ezekiel, chap. i. Constituting the essential feature of the ancient Astronomy, we present, in our frontispiece, a diagram of the Zodiac, as anciently represented, to which, as well as to Burritts' Celestial Atlas, our readers will be necessitated to make frequent reference. Recent researches among the ruins of ancient cities have developed the fact that several centuries before the beginning of our era the astronomers had invented the telescope, and discovered the true or heliocentric system of nature; but for the reason that religion had been based upon the false, or geocentric system, it was deemed prudent not to teach it to the masses. Hence, hiding it away among the other secrets of the Esoteric philosophy, the knowledge of it was lost during the Middle Ages; and when rediscovered, the hierarchy of the Church of Rome, upon the plea that it was contrary to the teachings of Scripture, resorted to inquisitorial tortures to suppress its promulgation; but, in spite of all their efforts, it has been universally accepted; and, in this otherwise enlightened age, we have presented to us the anomaly of a religion based upon a false system of Astronomy, while its votaries believe in the true system.